But we are getting ahead of ourselves. For now - keep Roger in mind, we will meet him again later. 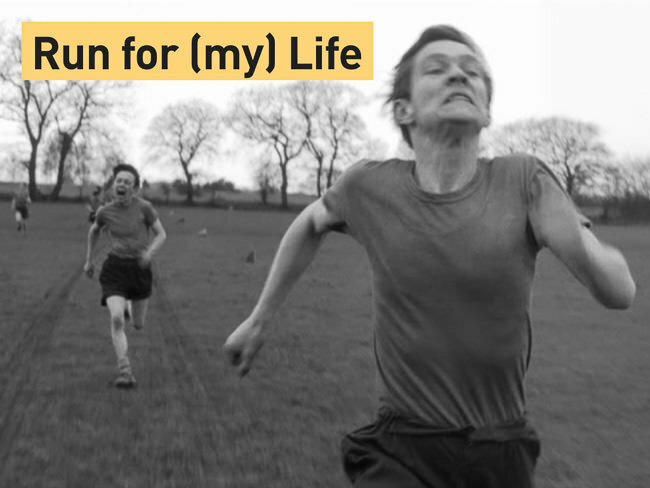 This presentation is a story about running, running a business and running through life at large. And how all these things can be treated the same. 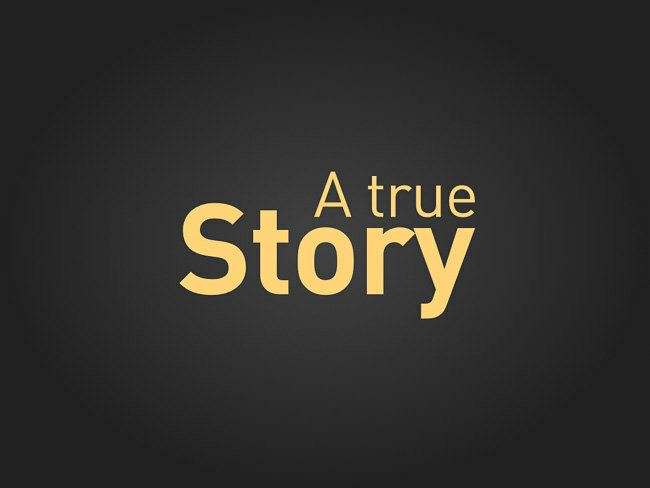 A story about lessons learned. A story about failures, perseverance, winning and the sheer joy of accomplishment - large and small. And it is a story why we should never walk in life. 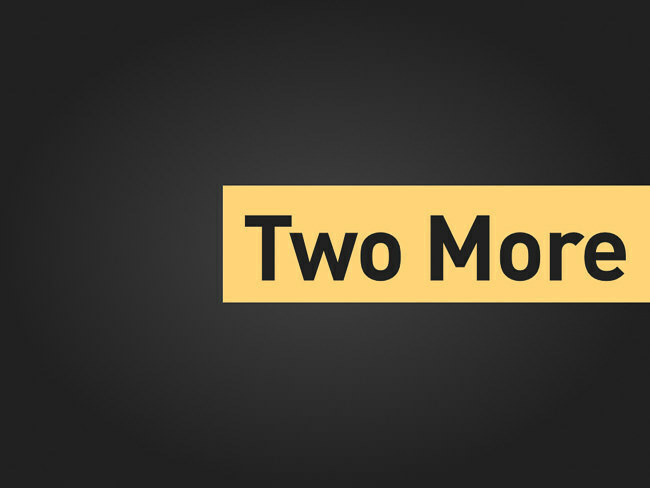 Let’s get ready… toe to the starting line. In 2008 I found myself with pretty severe depression. A condition and feeling which I never experienced before. I felt helpless. I didn’t know what to do. And I didn’t know how to get out of it. Over the course of some months I first talked with friends and family and tried to fix it myself. Thought I could figure out what it was, mend it and move on. But it didn’t work. Eventually, I knew that I needed help. So I searched for help. And found a fantastic therapist. She worked with me through a lot of issues in my past - but more importantly she asked me why I stopped doing sports years ago, having spent most of my youth engaging in one sport or another. I didn’t know the answer. Life just got in the way. My therapist asked me which sport I enjoyed most. The answer was immediately clear to me - running. Running is primal. It’s hardwired into our brains. Humans are born to run. So I started running again. I ran for life. For my life. About 10,000 miles later, after endless hours on the roads and trails in every place I lived & visited ever since, running with and without company - I learned something. 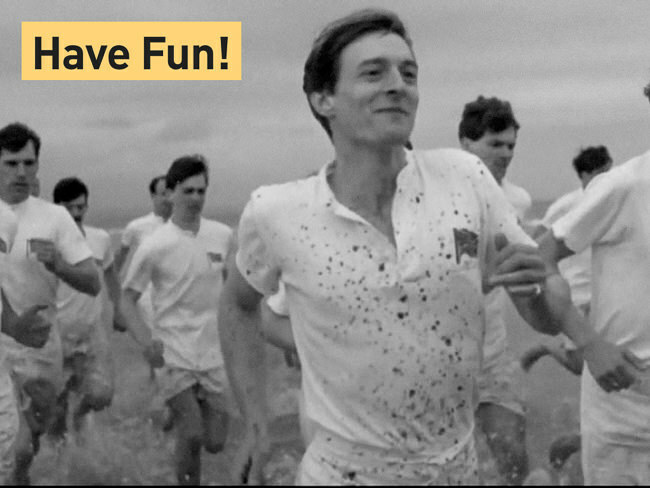 I learned that the fundamental lessons which running taught me, hold true for running a startup. And running through your life. 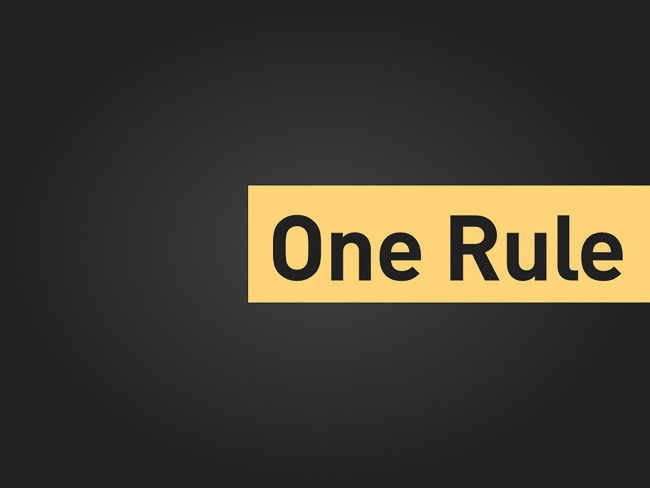 They are the essential rules for any entrepreneur. They are the essence of living life. 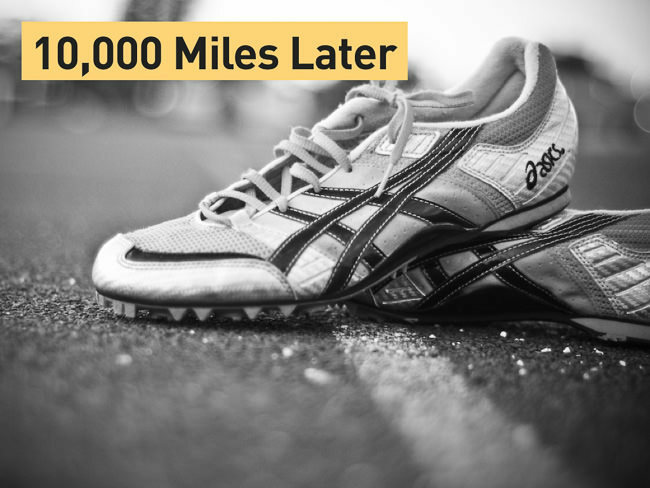 At least if you want to do the impossible - and break your own four minute mile. Train hard. There is no way around it. It’s the foundation. Everything else will depend on it. When I built my first startup, fresh out of university, I didn’t know anything. I had a huge ego and thought that I knew everything there is to know about building and running a startup. But I didn’t. I went into the race without training. It was ugly. I learned on the fly - which is fine. But I had people rely on me. And they suffered from my level of unpreparedness. 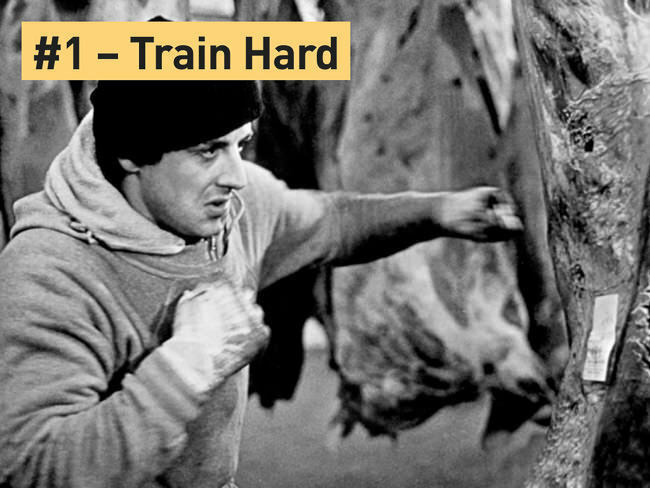 Train hard. 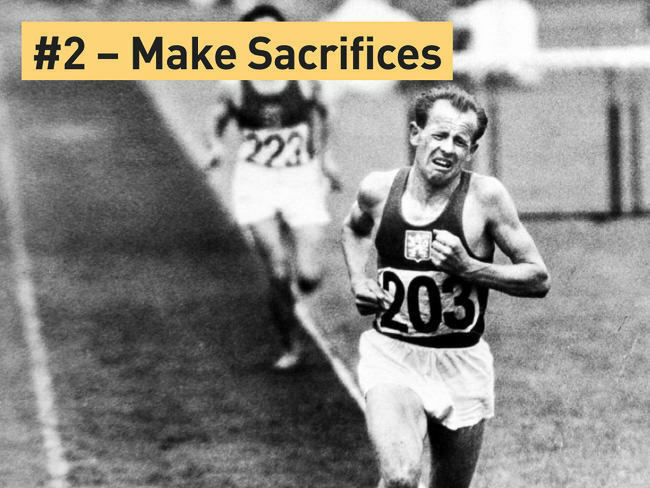 If you want to race, you need to pour your heart and soul into the preparation. This is where races are lost and won. Make sacrifices. 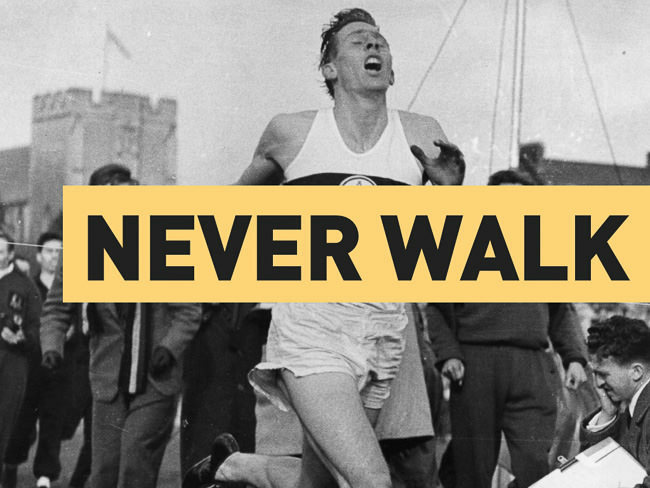 Emil Zapotek is one of the greatest runners of all times. 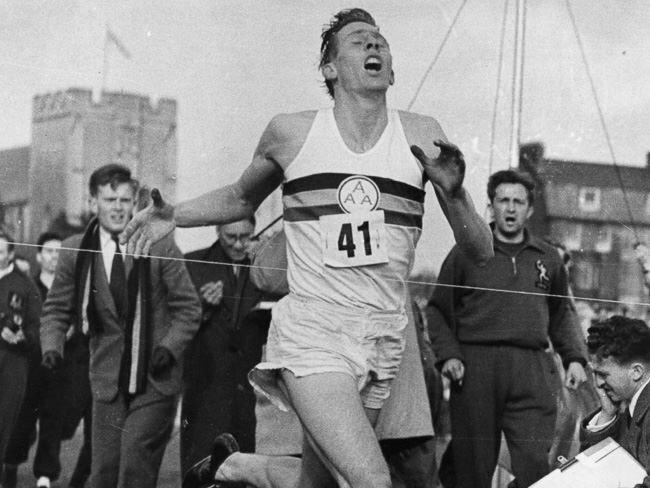 Emil wasn’t terribly talented or genetically gifted to run. But he made sacrifices. More than anyone else. And he won. Building a startup requires huge sacrifices. I slept on the floor in my company when I worked through the night. I blew up a long-term relationship. I lost friends as I didn’t have the time to see them anymore. My first startup was a financial disaster. It was a sacrifice which, in the end, made me a better entrepreneur. And my following ventures so much better. Make positive choices. Your life will be full of decision making points. Make sure you choose wisely. Choose the ones which will have a positive impact on you. I made a choice in my startup which I paid dearly for - against my gut I chose the investor with the better term sheet. I wanted the money. When the company went downhill, it turned ugly. I didn’t make a positive choice - and paid dearly. Seek your potential. I recently read that, unless you are an ultra-elite runner, you always have the ability to run faster. Always. I believe this is true for everything we do. Only very few people tap their whole potential. Seek out your potential. Figure out what you’re good at and get better at it. Don’t waste time getting mediocre at something you’re bad at. It’s not worth it. 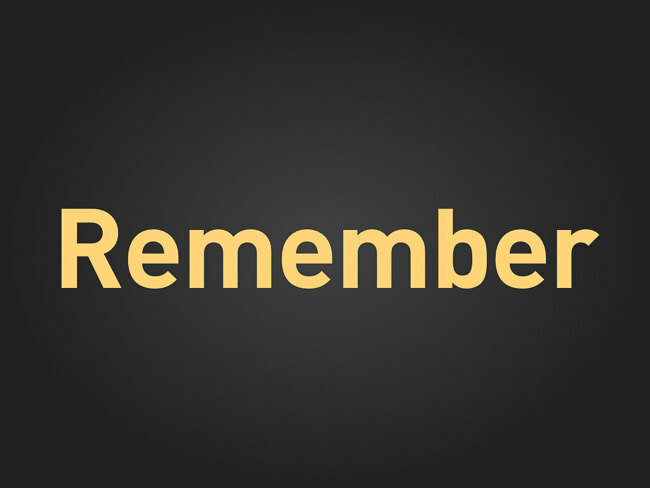 I learned so much about myself doing startups, working at big, fast-growing companies and helping other entrepreneurs. I think I know my strengths now - and I am sure I haven’t reached the limits of my potential. Keep pushing. 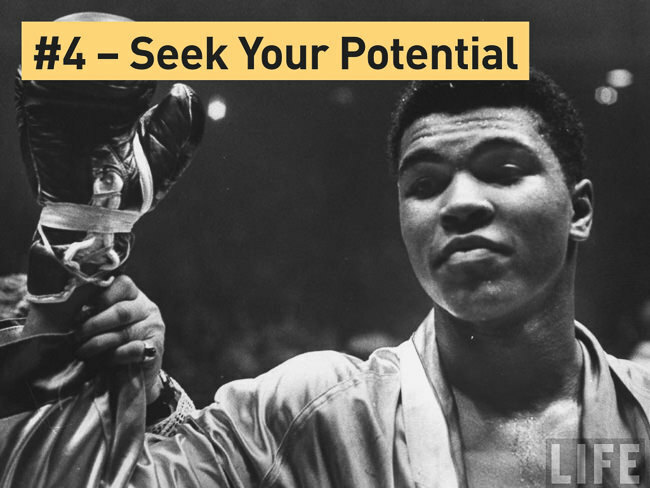 Become Muhammed Ali. 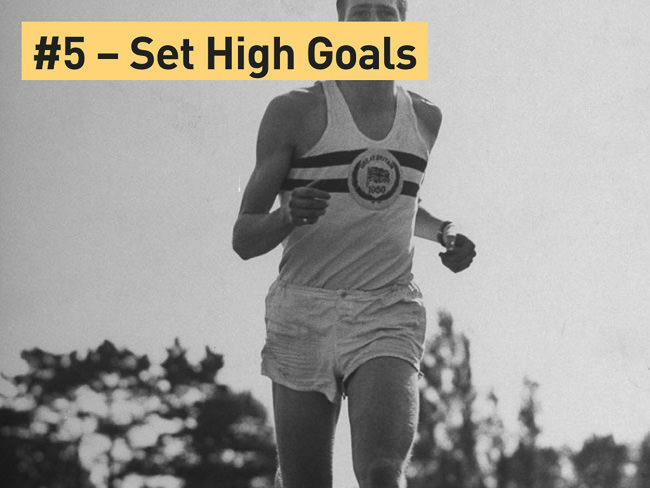 Set high goals. Remember Roger? 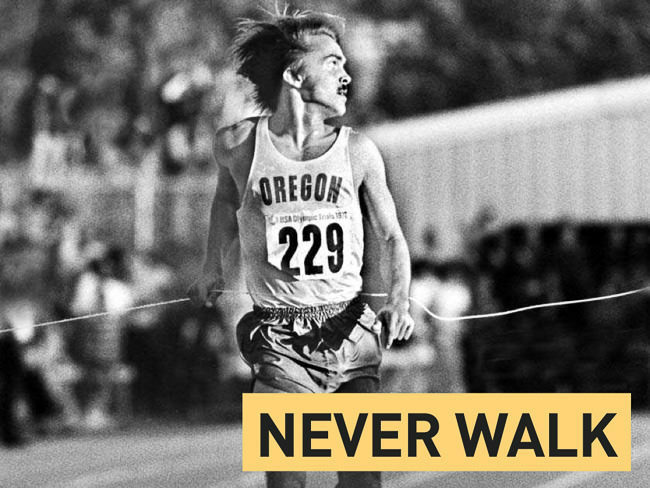 When Roger set out to break the four-minute mile, people believed that the human body will never be able to run that fast. Doctors were of the opinion that the heart will explode if you run that fast. And despite all this, Roger knew that it was possible - he set his goal that high. 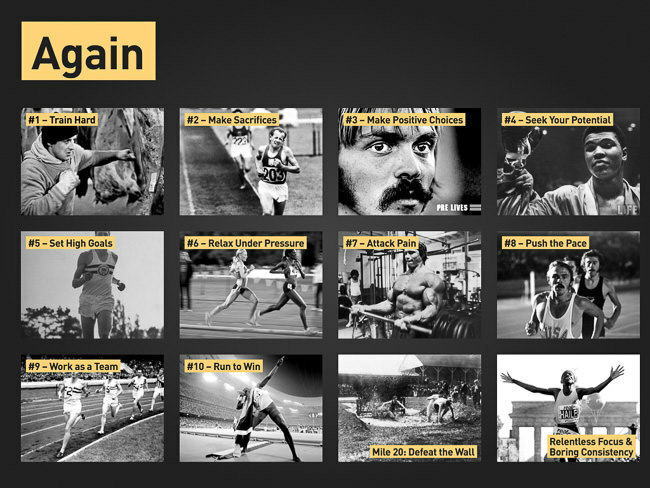 And only weeks after he broke the four-minute mark, a handful of other runners broke the same barrier. The barrier was was only in their heads. You can’t change the world if you don’t set out to do so. Be bold. Dream big. Who would have thought that we can put a man on the moon? Or that a little social network for Stanford students can become the largest website on the planet? Relax under pressure. Look closely at Shalane Flanagan’s facial expression on this photo. Shalane is the world-record holder for the 3000m. And she is completely relaxed and in the zone while racing. You can’t perform to the best of your abilities if you are tense. You will annoy the people around you. I know - I was tense when I did my first company. I yelled at people. It wasn’t nice - and it didn’t help. 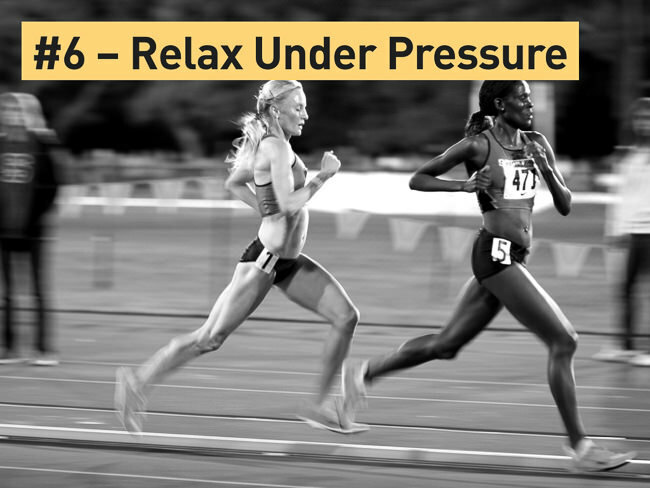 Learn to relax under pressure. Breathe deep - it will help you. 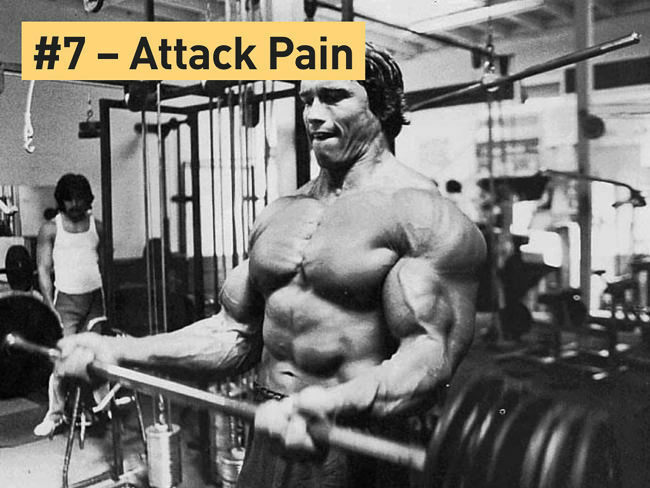 Attack pain. Pain is inevitable. You will feel pain. You can choose to let it dominate you or choose to attack it, ignore it, grind through it. 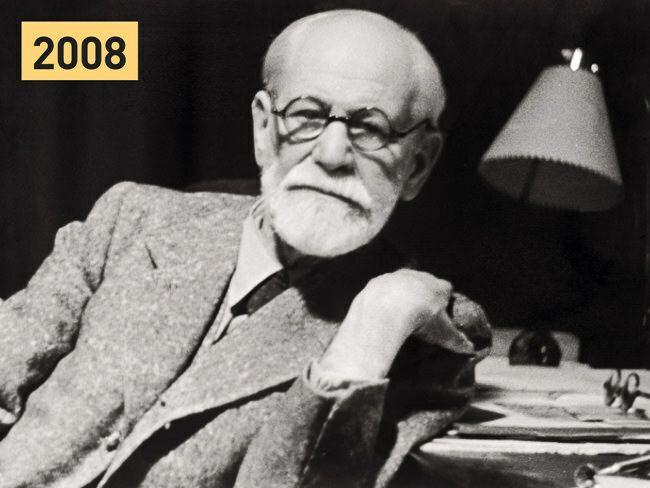 At the end pain is just a neuro-signal. You can will your way through it. Pain is the purifier. Be Arnold. I can’t count the amount of times I came to a point where I just wanted to stop. Wanted to give in to the pain. Or just take a break. Both in running, life and running my businesses. Ignore the feeling. Grind through. It’s just a neuro-signal. If its worth it - push on. 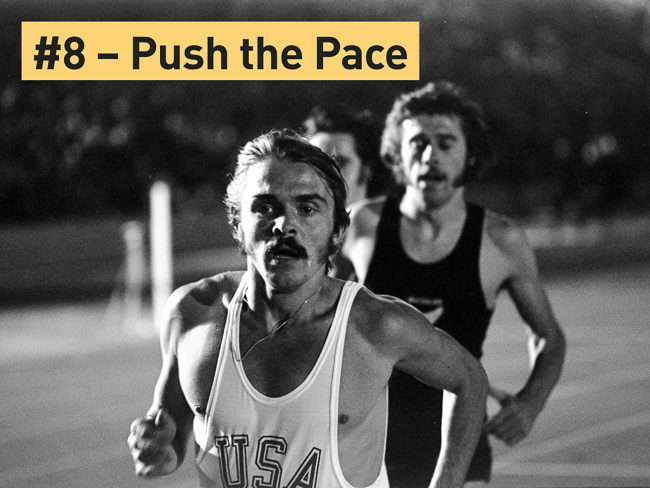 Push the pace. Go out and don’t hold back. Don’t be the guy who races in the shadow of others and tries to sneak by on the last few meters. Keep on pushing the pace. 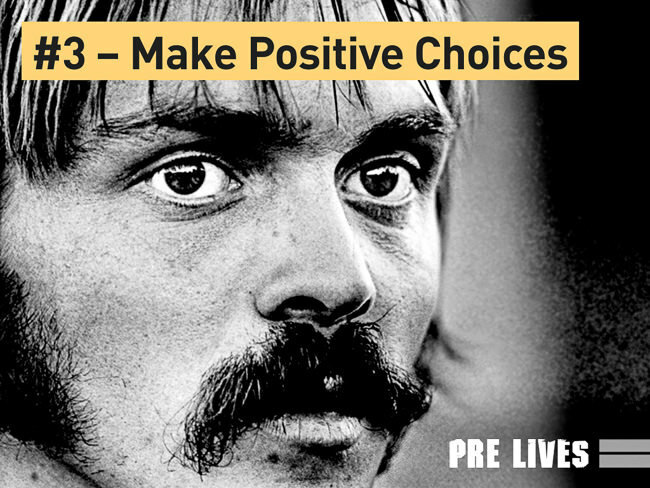 Steve Prefontaine to this day is the most courageous of runners in the world. He kept pushing the pace. Always. You chose to start a company. Now do it properly - with every fibre of your body, continuously pushing the pace. Be bold. It’s the only way to succeed as a true leader. Work as a team. Running looks from the onset like a very solitary sport. It is not. Roger had two good friends pace him through the first two and the third round of his four-round record run. Your team is everything. Without them you are nothing. 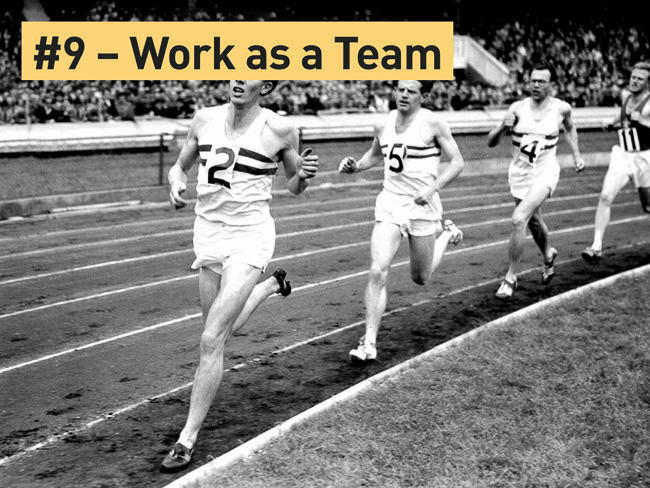 Embrace the spirit of the team in your organization. There is no room for anything else - you have to work as one, for a common goal. Even the brilliant Steve Jobs couldn’t make things happen without his team. Run to win. History has it that Pheidippides died after reporting the Greek victory over Persia in the Battle of Marathon to Athens. Treat the marathon with respect. 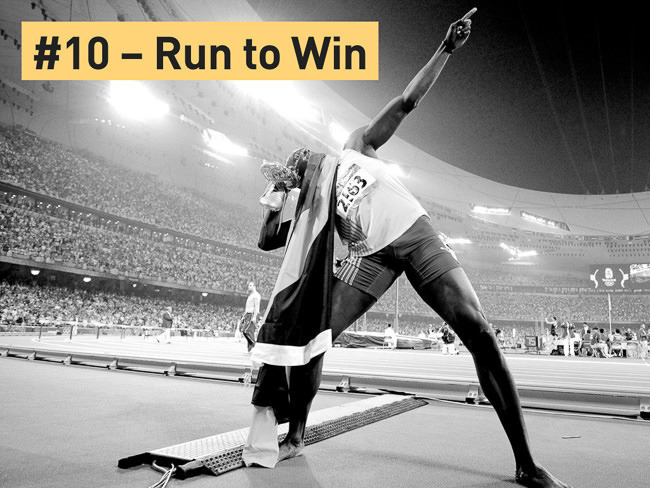 Run to win. Every time. Don’t get into business if you aren’t in it for the win. And do what it takes to win. Honor Pheidippides. And run like Usain Bolt. Defeat the wall. When you run a marathon you will hit the wall. After 21 miles of running your body simply runs out of glycogen and wants to shut down. This is the point where your will is tested most. You push through it. 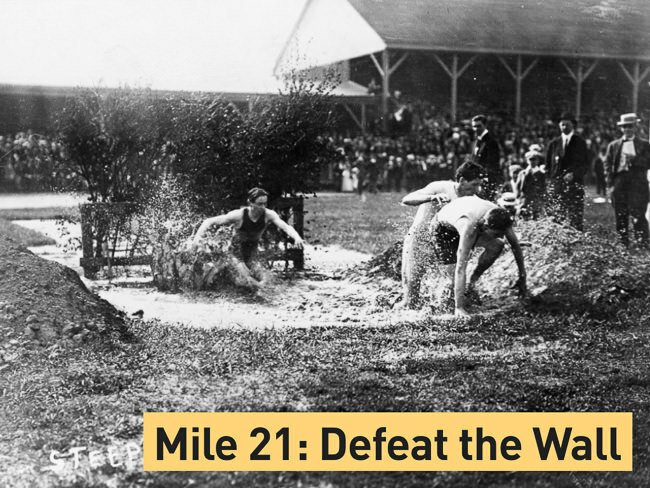 You force carbohydrates into your body although your stomach started cramping up at mile 15. But deep down you always knew - it is possible. So you persevered and set one foot in front of the other. Repeat. And repeat. In every venture, I hit the wall. There always was the day when I didn’t want to get out of bed. Where I just wanted to throw it all down the drain and give up. Persevere. Get dressed, get to work, get going. Force yourself through it. It won’t last. You can defeat the wall. 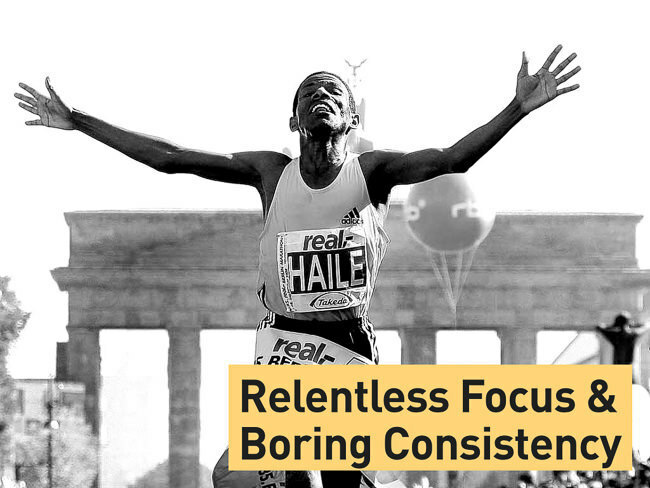 Relentless Focus & Boring Consistency. Running is all about spending hours and hours doing the same thing - running. You need to have laser-sharp focus and be consistent. There is no way around. 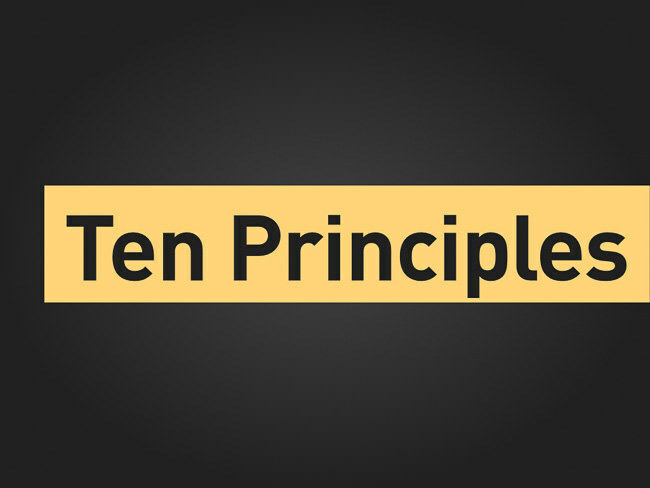 In your company there is nothing more important than making the main thing the main thing and then executing on it. It’s not flashy & glamorous - but it is how you will get to your goal. I ignored this piece of advice in my first company. I kept chasing the next new thing. And failed. 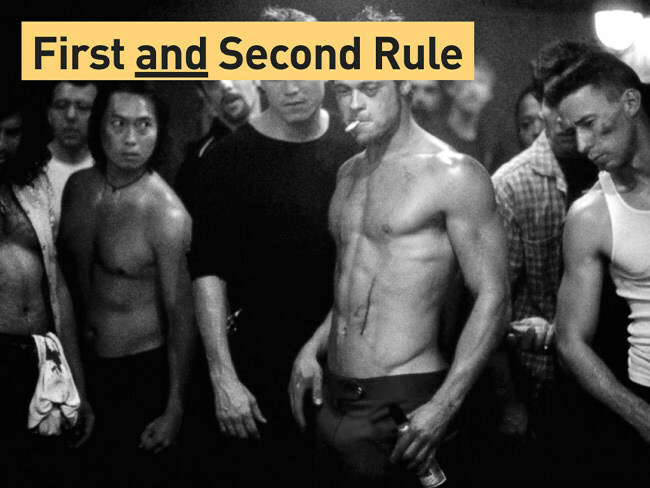 The first rule is actually the first and second rule of everything you do. If you don’t have a big, fat grin on your face when you run, don’t do it. Have fun while you’re out there. It is your race.